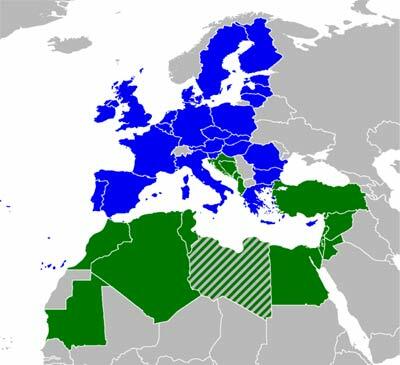 The act unites all EU members with several non-EU countries that border the Mediterranean Sea. The idea was originally proposed as an alternative to Turkish membership in the European Union, whereby Turkey would instead form the backbone of the new Mediterranean Union. However, with modifications to the plan in March 2008, membership was no longer seen as an alternative to joining the European Union, and instead considered more as a stepping stone into the EU. Once Turkey was given a guarantee in March 2008 that the project would not be an alternative to Turkish EU membership, it accepted the invitation to participate. French President Nicolas Sarkozy proposed the Union during his election campaign. The proposal was originally made as part of Sarkozy's election campaign.Following his electoral victory, the idea was reiterated, with plans being drawn up. [ Despite the potential division it could cause to the Muslim world, with part being united with Europe, and part separated, President Sarkozy sees the initiative as a way of promoting peace between Israel and its Arab neighbours. 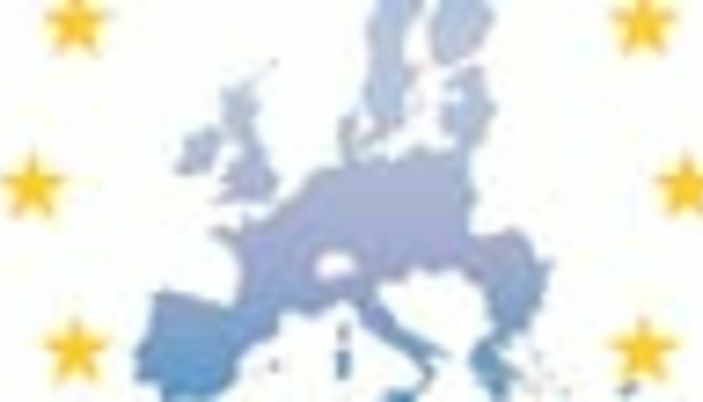 It is hoped that an institutional core will be established by the end of the French presidency of the European Union in 2008. On 23 October 2007 Sarkozy invited all Mediterranean leaders to a summit in France to take place in June 2008 where they would "lay the foundations of a political, economic and cultural union founded on the principles of strict equality." Criticism of the proposal at these early stages included concern about the relationship between the proposed MU and the existing Euromediterranean Partnership, which might reduce the effectiveness of EU policies in the region and allow the southern countries to play on the rivalries to escape unpopular EU policies. There were similar economic concerns in the loss of civil society and similar human rights based policies. Duplication of polices from the EU's police and judicial area was a further worry. At the start of 2008 Sarkozy began to modify his plans for the Mediterranean Union due to widespread opposition from other states in the EU and the Commission. At the end of February of that year France's minister for European affairs, Jean-Pierre Jouyet, stated that "there is no Mediterranean Union" but rather a "Union for the Mediterranean" which would only be "completing and enriching" to existing EU structures and policy in the region. Following a meeting with German Chancellor Angela Merkel it was agreed that the project would include all EU member states, not just those bordering the Mediterranean, and built upon the existing Barcelona process. Turkey also agreed to take part in the project following a guarantee from France that it was no longer intended as an alternative to EU membership. The UM was launched on the 13 July-14 July 2008. The Mediterranean Union would be a looser grouping than the EU. Sarkozy called on the Mediterranean people to "do the same thing, with the same goal and the same method" as the European Union, though he stated it would not be based on the EU model. When the project was modified in 2008, many proposals were dropped, such as a Mediterranean Investment Bank (modeled on its European counterpart). Instead it would focus on more practical projects. Under the original plans, members would form a regular council under a rotating presidency (similar to the current EU model) dealing with energy, security, counter-terrorism, immigration and trade. French nuclear power expertise would be exchanged for North African gas reserves. The Mediterranean and European Unions would work together and share some institutions, including a common judicial area to fight corruption, terrorism, organised crime and people smuggling. The predecessor to the Union for the Mediterranean, the Euro-Mediterranean Partnership was seen as a failure by some, because it included all EU members, which is considered to have disctracted from focusing on purely Mediterranean issues. The original "Mediterranean Union", which would have included only Mediterranean states, was hoped to avoid this situation by having a clearer direction. However, when the Mediterranean Union was modified to become the Union for the Mediterranean, it was decided that all EU members would be involved. The original proposals would have excluded the EU states not bordering the Mediterranean. All other EU states apart from France, Spain, Italy, Slovenia, Malta, Greece, and Cyprus, would have been silent observers which angered those countries who would not be involved, such as Germany, as it did not approve of EU funds being used in a project over which it had no influence.